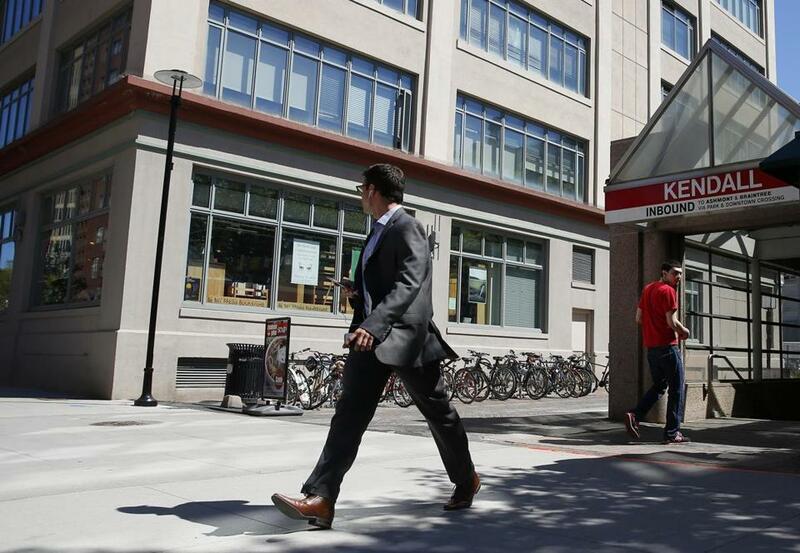 The MBTA stop in Kendall Square in Cambridge. Re “Bill would renew row over rent control” (Page A1, March 26): In 1993, I was a “condo criminal” — living in the 440-square-foot condo my wife and I owned rather than renting it out at one-third of our mortgage. The Cambridge Rent Control Board put us on a list of people to be evicted for the crime of living in our own home. I didn’t just say, “This can’t happen in America.” I fought back. I wrote the state ballot question that ended rent control. Everyone said it was impossible, but a brave woman named Denise Jillson led a group of blue-collar Cambridge residents — owners of two- and three-family homes — that gathered the signatures and won at the ballot box in 1994. Rent control was a nightmare. Leave it buried in the past. The lack of affordable housing in our region is a problem that should concern us all. The burden of a remedy should be shared by all, not just landlords. After all, we don’t make grocery stores shoulder the entire burden of feeding the hungry. Jon Chesto’s “Loss of school kids imperils Cape economy” (Business, March 26) couldn’t have been more on point. Over six short years, the Cape lost 3,000 year-round homes and gained 5,000 seasonal homes. By 2025, the median Cape home will cost between $600,000 and $700,000 — hardly affordable for young families. In our recent report, “Housing on Cape Cod: The High Cost of Doing Nothing,” we interviewed business and community leaders. The conclusions are alarming: Left alone, the year-round community will lose its workforce and their families, which means higher prices for goods, decreased access to essential services, and increased traffic from workers commuting here. But it’s not too late. We’re asking towns to put short-term rental tax revenues toward housing and other long-term needs, conducting housing advocacy training, and supporting bylaw changes on accessory dwelling units during town meeting season. Readers can help ensure that Cape Cod has families here 365 days a year by telling the owner of a second home about Rent 365, a program we offer that provides them with the tools they need to be successful year-round landlords. Thank you for spotlighting the challenges faced by Cape Cod’s young people and families (“Loss of school kids imperils Cape economy”). However, Jon Chesto’s column may leave readers with the impression that our community is unique in these challenges, or that it is somehow beyond saving. The demographic shifts seen on Cape Cod mirror those of communities nationwide, and are symptomatic of bigger societal issues: dropping birthrates, rising cost of living, stagnant wages, and restrictive zoning that limits smart growth. Yes, the challenges of young people and families need our immediate and focused attention, but not just locally, and certainly not just on the Cape. Drawn by the region’s beauty, recreational activities, tight-knit communities, and lower cost of living compared with cities such as Boston, many young people have consciously chosen to build careers, raise families, and put down roots here. Instead of dwelling on numbers, we are building community and working incrementally on solutions that we believe, over time, will turn the demographic tide. Those who look at Cape Cod through the narrow lens portrayed in Chesto’s column may miss what is right under their noses: a vibrant community of young people and families who know they have found home. Some context is missing from Jon Chesto’s “Cambridge mulls extreme step on housing needs” (Business, March 23). It might change readers’ minds about how “extreme” the step really is. First, it may sound “radical” to some that the proposal would create “an entirely new citywide zoning code” for 100 percent affordable projects. But there’s a reason today’s map of affordable housing aligns so closely with the 1930s racist redlining that is the historical basis for our current zoning. Undoing that legacy is overdue. Second, residents are alarmed by housing costs. Asked what’s the most important issue facing Cambridge, 35 percent said housing — only 6 percent mentioned the next highest issue (traffic). Third, supporters solidly outnumbered opponents 43 to 28 at the hearing Chesto mentions. So, though the proposal has drawn “passionate pleas from both sides,” as Chesto states, proponents are in the majority and more closely align with residents’ biggest concern. Finally, Chesto writes, “Cambridge already does more than most communities,” with 15 percent affordable housing compared with 10 percent statewide. That’s a low bar. With six subway stops and excellent bus coverage, with a booming economy and opportunities galore, Cambridge should be doing a lot more than others. And if our goal is a home every Massachusetts resident can afford, we all should be doing much more. The writer is affiliated with the volunteer organization A Better Cambridge.